“We are just going to use an ipod”. “Our friend is in a band and has some DJ equipment”. “We just want the cheapest option for our DJ”. These are all lines I’ve heard from folks that have decided against hiring JAMMIN’ DJs for their wedding celebration. All understandable and we hold absolutely zero grudge against someone who decides to go another direction. It’s YOUR big day and at JAMMIN’ we just want YOU to be as happy and stress free as possible. That being the case, not only is hiring a DJ a big deal but hiring the BEST DJ company in Colorado seems almost a no brainer. If there is one day of your life (besides the birth of a child perhaps) that should be all about QUALITY, it’s your wedding day. YOU deserve this to be one of the greatest, most memorable days of your life and a great DJ can make a world of difference. Why is it important to have a professional DJ? There are several reasons but I’ll start with the most important; “DJs” aren’t just disc jockeys who show up and play music from a playlist. We are “MCs” (Master of Ceremonies) as well and part of ours job is to keep the wedding on schedule and flowing smoothly. We work with the bride and groom, the wedding planner, the caterer, the bartender and the vender to ensure that everyone is on the same page and that the couple has ZERO worries on their big day. We are NOT just a man/woman behind a mixer and mic that just makes quick announcements, but rather a key piece to a great wedding and an amazing party. An ipod also cannot judge the mood of a room or the groove on the dance floor. The auto-play doesn’t know when it’s right to play the Beegees/Michael Jackson or when to throw down some Flo Rida or Sir Mix a Lot. A good Disc Jockey knows which song to follow with or when to throw in a slow dance or mix in a Big Band era song. One of our number one rules is to just simply watch the faces of the bride and groom and to gage the song selection and timeline off of what THEY want. It’s not a JAMMIN’ DJ show, it’s a celebration of a promised love and a thank you to the family and friends who made it for the occasion. We can make your wedding special, memorable and one heck of a good time and that’s all on top of it being smooth and stress free. Can your buddy and his I-Pod do that? 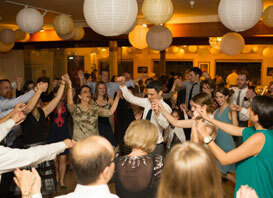 Why is JAMMIN’ DJs the best choice in Colorado for wedding DJs? As an athlete would say…”Scoreboard!”. Our collection of awards is getting so huge that we can barely fit them all in our very decently sized office. JAMMIN’ DJs just won the best of ‘The Knot’ and ‘Wedding Wire’s’ “Couples Choice” awards for 2015. 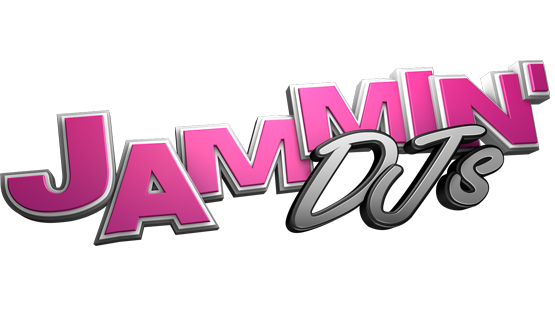 In other words, according to two of the largest wedding websites, JAMMIN’ is the best wedding DJ company in the state of Colorado. We are rated 4.9 out of 5 stars as well and are on our way to boosting those numbers to a perfect 5. If you want third party verification, head over to www.weddingwire.com and www.theknot.com who will give you all the info you need to see that we are the best in the business. It’s not ALL about the day of the wedding either. Of course the ceremony and reception are the most important factor, but nearly as essential is the comminication we have between our DJs and the soon-to-be-wedded couple in the weeks before the wedding day. We meet with you whenever is convenient to iron out the details and be sure we are in perfect understanding of what you want. Then, our easy to use website and planning forms makes it a quick and stress free task to get in your playlists, song requests, bridal party names etc,… Also if there is ever ANY issue, our DJs are always available for a call or email to help you out with anything you might need. All day, any day. I hope after reading this that you will at the VERY LEAST: #1 Rethink using an I-Pod. #2 Check out JAMMIN’ DJs online www.myjammindjs.com. #3 Head over to The Knot and Wedding Wire and confirm what you found on our site. #4 Call us immediately to be a part of your wedding day. It should be the happiest day of your lives, why settle for less than the best?